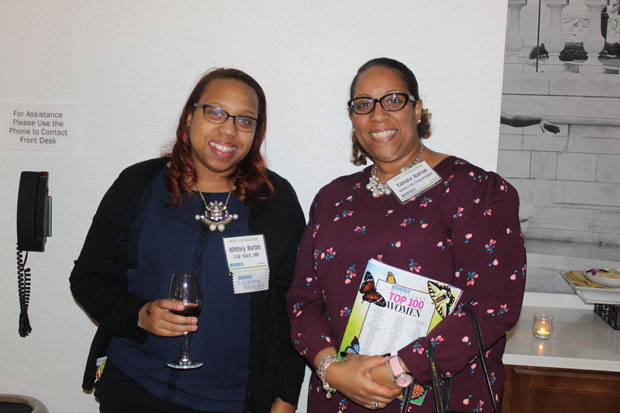 More than 150 people attended the first 2019 Path to Excellence Networking Series event Feb. 5 at Hotel Indigo in Baltimore. 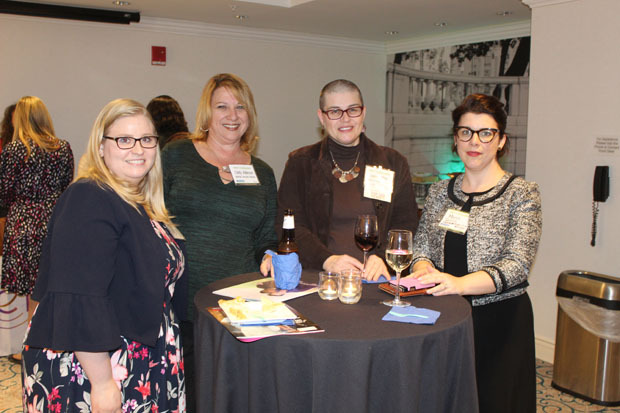 The event helped launch The Daily Record’s new Women Who Lead brand along with the latest issue of the Path to Excellence women in business magazine. 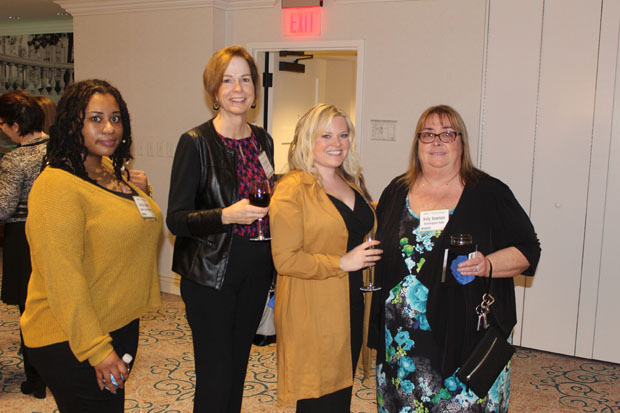 Women Who Lead combines the Top 100 Women, Leading Women, Women’s Leadership Summit and Path to Excellence as the premier women events in Maryland. 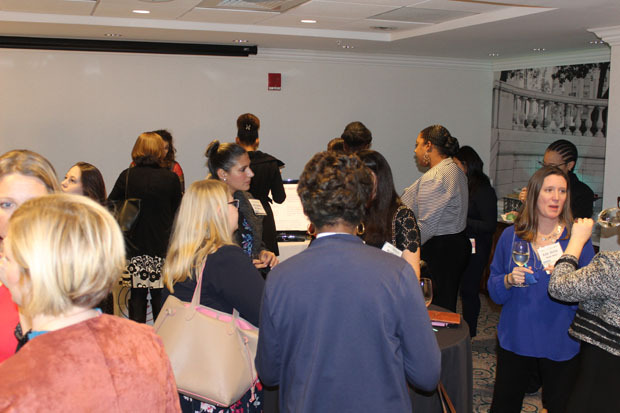 Women Who Lead is designed to bring together women leaders from around the state for networking, leadership and more. 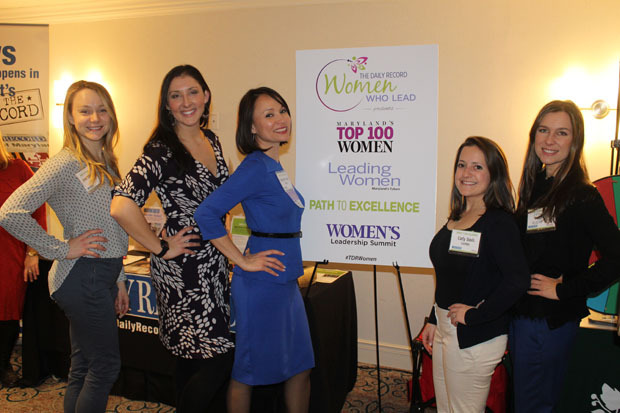 Women Who Lead also features a twice monthly email newsletter. You can sign up for the newsletter at www.thedailyrecord.com/path-to-excellence. 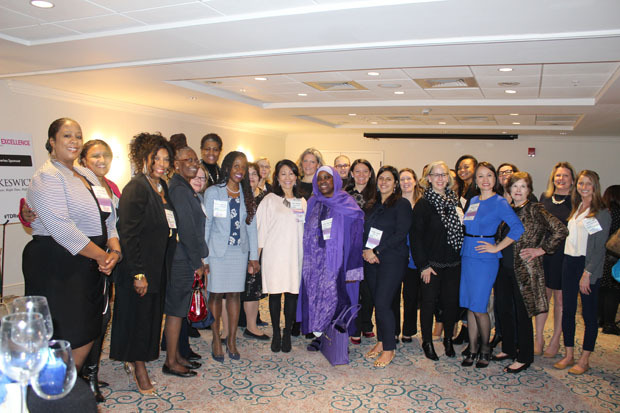 Co-hosts for the event included former Top 100 Women or Leading Women Marie Hartman, executive vice president and co-founder of Hartman Executive Advisors; Asma Inge-Hanif, founder and executive director of Inge Benevolent Ministries Muslimat Al Nisaa Shelter; Tenyo Pearl, campus director of the Non-Profit Leadership Alliance with Coppin State University; Genevieve Regal, a clinical consultant with Confidio; Michelle Siri, executive director of the Women’s Law Center; Claudia Towles, owner of aMuse Toys; and Maureen Van Stone, director of the Maryland Center for Developmental Disabilities and Project HEAL. 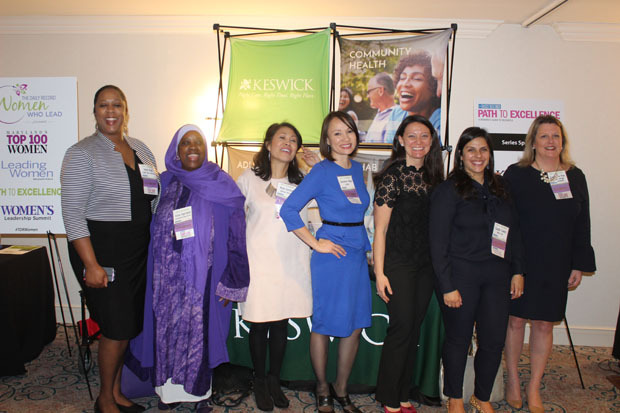 Keswick is the Path to Excellence series sponsor for 2019 and Hotel Indigo was the host sponsor. 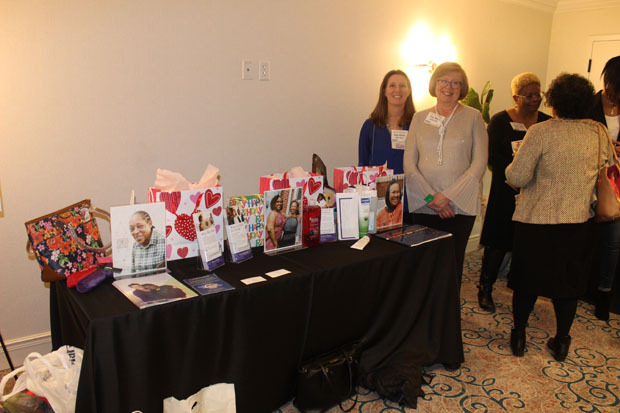 The nonprofit partner at the event was Marian House, a holistic and healing community for women and their children in need of housing and support services. Donations were accepted for the Marian House program. 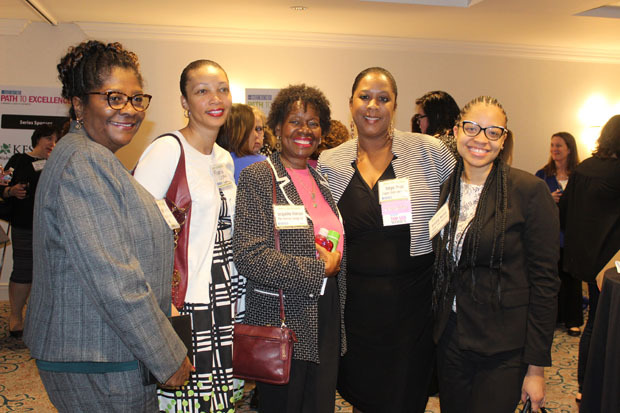 As part of the event and in conjunction with innovation sponsor Port Covington, three women-owned businesses shared their products with attendees. Those exhibitors included Clear Mask, Deandra Coleman Interiors and Wight Tea Company. Exhibitor applications for the next event can be found at www.thedailyrecord.com/path-to-excellence. The next Path to Excellence event is the Women’s Leadership Summit March 20 at 7:30 a.m. at Coppin State University. To submit images for a future Business Album, contact swallace@thedailyrecord.com.